Tag Archives: You Wrote The Book! 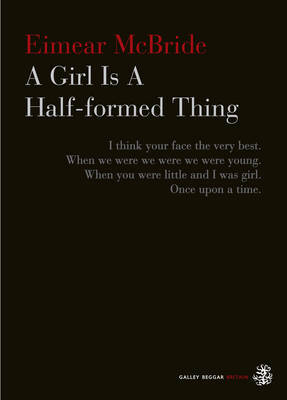 I found A Girl is a Half-Formed Thing a book that confused, then compelled and finally confronted me. Not just because of the subject matter but also because it made me rethink the way I read. The abstract sentences and initially rather confusing style start to form a very clear, if quite dark, picture. You just need to reset your brain and allow it to do the work, or working in a different way. This is of course the point of prose after all, it shouldn’t always be spelt out just so and I hugely admire (and thank) Eimear McBride for writing such an original and startling book which will reward intrepid readers out there greatly. Tip – read it out loud to yourself. I am very excited about seeing the play in two weeks with my pal, and colleague Jane, should be something quite special. You can hear Eimear talking about the book on You Wrote The Book here. I am not going to hold back I loved ‘Brooklyn’. I thought Toibin’s style of prose and narrative was simple and beautiful. I was totally and utterly engaged throughout the whole book. 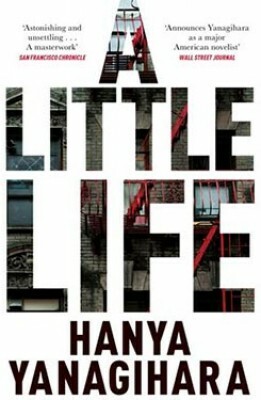 I liked and believed in all the characters and I loved the subtle simple plot. In fact ‘subtle and simple’ are possibly the perfect two words to sum this book up for me. Yet at the same time it’s quite an epic novel and one that covers a huge amount in fewer than 250 pages. With characters, plot and backdrops like this I would be amazed if you could fail to love this book. 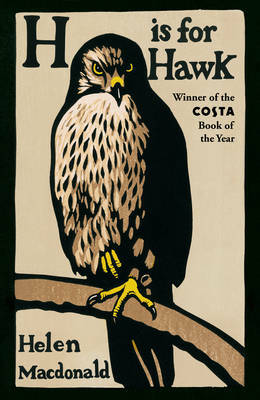 Sadly I have yet to get Colm Toibin on You Wrote The Book, but one day, one day. I should also add I absolutely LOVED the film too, which is unusual for me, it was one of my movies of 2015. Whilst many novels of the Troubles would make them the main focus and give you them in all their rawest and most shocking detail, I think McVeigh gives you something far more clever and intricate. A young lad growing up at the time Mickey does would, as Mickey is, be used to it and so it is not the be all and end all of his thoughts. This of course leads us into a false sense of security so when things like the night time raids or the murder and bombing in the street happen it gives us all the more of a sense of shock, some of these parts of the novel are really harrowing reading. Yet often more striking are the random smaller moments in which we are reminded the streets the kids are playing in are territory of war, I found these truly chilling. I also found the novel incredibly hopeful, funny and is probably the book I would recommend to anyone wanting to dip their toe in Irish waters fiction wise if they have not already. You can hear Paul talking about the book on You Wrote The Book here. When a wanted war criminal from the Balkans, masquerading as a faith healer, settles in a small west coast Irish village, the community are in thrall. 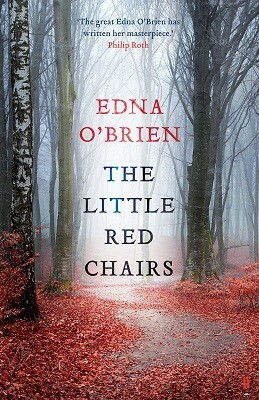 One woman, Fidelma McBride, falls under his spell and in this astonishing novel, Edna O’Brien charts the consequences of that fatal attraction. The Little Red Chairs is a story about love, the artifice of evil, and the terrible necessity of accountability in our shattered, damaged world. A narrative which dares to travel deep into the darkness has produced a book of enormous emotional intelligence and courage. Written with a fierce lyricism and sensibility, The Little Red Chairs dares to suggest there is a way back to redemption and hope when great evil is done. He will spend three days alone on his island. That is all that he asks …John is so many miles from love now and home. This is the story of his strangest trip. John owns a tiny island off the west coast of Ireland. Maybe it is there that he can at last outrun the shadows of his past. 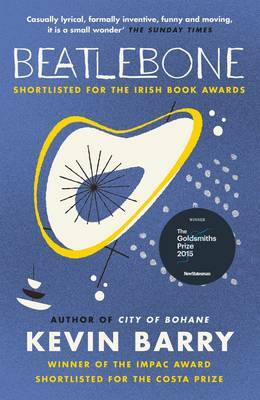 The tale of a wild journey into the world and a wild journey within, Beatlebone is a mystery box of a novel. It’s a portrait of an artist at a time of creative strife. It is most of all a sad and beautiful comedy from one of the most gifted stylists now at work. You find me on a Tuesday, on my Tuesday trip to town. A note sellotaped to the inside of the jumble-shop window: Compassionate & Tolerant Owner. A person without pets & without children under four. A misfit man finds a misfit dog. Ray, aged fifty-seven, ‘too old for starting over, too young for giving up’, and one eye, a vicious little bugger, smaller than expected, a good ratter. Both are accustomed to being alone, unloved, outcast – but they quickly find in each other a strange companionship of sorts. As spring turns to summer, their relationship grows and intensifies, until a savage act forces them to abandon the precarious life they’d established, and take to the road. 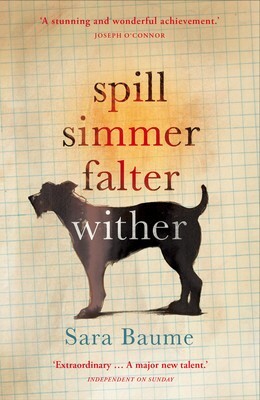 Spill Simmer Falter Wither is a wholly different kind of love story: a devastating portrait of loneliness, loss and friendship, and of the scars that are more than skin-deep. So there are my picks both for you to read, if you haven’t, and me to read in the months ahead. If you have read any of these do please let me know your thoughts. I would also love to hear what your favourite Irish novels and/or novelists are that you would recommend I, or anyone reading this, give a whirl. Tagged as Colm Toibin, Edna O'Brien, Eimear McBride, Kevin Barry, Paul McVeigh, Sara Baume, St Patricks Day, You Wrote The Book! You may remember that I had a moment we all dread last year when my computer broke and lots and lots of files were lost/wiped. Imagine my joy when I was looking through my emails and I found some reviews which I thought were gone for good. What was I looking for was to see if I had Victoria Hislop’s email address as having been to Cyprus, where she set her latest novel The Sunrise, I wanted to email her about it. As it turned out I don’t have her email but I did find my review of The Sunrise sat in an email I must have sent to myself from my old work – how could that happen? I have never blogged at work. Anyway as it seemed Aphrodite had popped this review, which I wrote at the end of 2014, back into my life (well, onto my computer) I thought I would share it with you now. It is the summer of 1972 and Savvas and Aphroditi Papacosta are living a life of luxury through the riches of tourism in the Cypriot city of Famagusta. Their hotel, The Sunrise, is one of the most popular destinations on the whole island with loyal staff and even more importantly loyal customers. The couple can have pretty much anything they want, and life seems perfect. Yes, you guessed it there is a ‘but’ coming. For behind the facade of partying, glamour and wealth that the tourists see, there are tensions between Green and Cyprus which initially seem to be taking place further afield, until a Greek coup starts and the island is torn in two as civil war starts with Famagusta becoming one of the central grounds. As the holidaymakers reclined in the sun, sipped cocktails, swam or lost themselves in the latest thriller, Huseyin noticed that they were always orientated towards the sea. The sunbeds had to be laid in rows, pointing towards the rising sun. These foreigners did not want to look inland. Even Frau Bruchmeyer, who lived on the island now, saw only its beauty and the paradise created by the blue sky and sea. Although during their short conversations she never forgot to ask after Huseyin’s mother, she seemed unaware of the knife edge on which the Cypriots were living. Victoria Hislop does something very savvy with The Sunrise. Initially I was completely won over simply by the hotelier couples, though Aphroditi in particular who gets her hair done and wears a different gown each day and night and is Cyrus’ answer to Alexis Carrington. I was then bowled over by the tension that unravels and soon takes us from the high camp and glamour of the hotel and into the streets where we join two families, the Georgious and the Ozkans, who both have links to the hotel itself with members of the families working there. As we follow these families we gain more of an insight into the history of Cyprus and where the tensions came from as we discover they both tried to escape prejudice, ethnic violence and bubbling unrest elsewhere on the island. We then follow these two families, and the Papacosta’s, as they come to terms with the fact that they must pick sides, whether they like it or not, and how their decisions on staying or fleeing will affect them all as time goes on and the conflict gets worse. How far will these people go to survive and how do people change when they have no idea what the future holds? Everything was quiet, but at the end of the street not far from home, he noticed something that shocked him even more than anything he had seen. He put the sack down behind a gate and went up close. Ahead of him, there was a line of barbed wire. He was at the edge of the modern section of the city now, and as he peered in both directions down the moonlit street, he realised that the wire stretched as far as he could see. 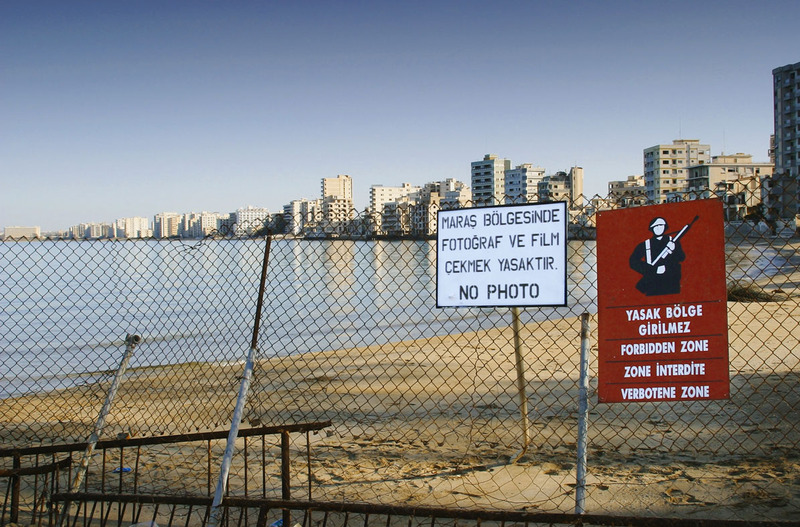 Famagusta had been fenced off. They were now living in a giant cage. Naturally as things go on Hislop’s plots thicken, twist and take many a surprising turn whilst all the while giving us an insight to a period of history. It is this combination that makes The Sunrise so enthralling to read. Sometimes if you know a novel is based on historical fact it can go one of two ways; either there is an element of the story falling flat for you because you know the outcome or there is added tension and atmosphere. As with her debut The Island (of which I am also a huge fan and read before my blogging days) Hislop’s latest novel is definitely in the latter category. Whether she describes the city at its most buzzing and opulent or at its most devastated you are completely there, the city fully created at either end of the spectrum. Here characters are also marvellously crafted, you end up liking them whether you want to or not. Be they spoilt rich women, eccentric tourists, vagabonds, victims, profiteers you end up following their stories and narratives avidly whichever side of the conflict they are on. Hislop very carefully pitches her tone on neutral ground, so that regardless of who is wrong or right (bearing in mind that each official ‘side’, not necessarily the characters though, thinks they are right) we the reader get to see the situation from all sides. This is an incredibly difficult thing to do in any historical novel, set around conflict or not, especially without adding any hindsight to it. Hislop does it marvellously; her main focuses the story, the characters, the city and her readers with the facts firmly embedded in the fiction. The Sunrise is a perfect combination of an escapist, educational and enthralling read around a period in history you might not have a clue about. Highly recommended and a most timely reminder of how much I loved The Island and how I need to read all the Hislop’s I haven’t yet. If you would like to find out more about the book you can hear Victoria in conversation about it with myself on a previous episode of You Wrote The Book here. So those were my thoughts back in 2014 which were brought back to life when I arrived in Cyprus, especially once I discovered you can go on tour to Famagusta and see the ghost town pictured above. I was desperate to do it, alas we discovered that you actually don’t get to go into the city, just see it through a fence, so a four hour round trip seemed a little excessive to peer through the fences, maybe one day though? After reading the review I was quite cross I didn’t pack it in my bag to read while I was in Paphos. 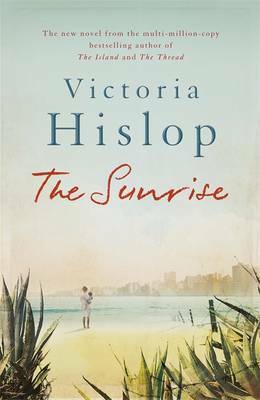 It has reminded me again I need to get back to more of Victoria Hislop’s books, have you read The Sunrise, The Island or any of her other novels, if so what did you think? Tagged as Cyprus, Famagusta, Victoria Hislop, You Wrote The Book! When the Guardian called for votes for their Not The Booker nominations there were two books I simply had to put forward. One was the brilliant All Involved by Ryan Gattis (as someone had already nominated the equally brilliant A Little Life) and the other was a book with a character that I will never forget, Paul McVeigh’s debut novel The Good Son, which stars – there is no other word for it than stars – Mickey Donnelly. If I told you that you should really read a book set during the Troubles in Ireland which throws in poverty, religion, sexuality and violence, both domestic and political, you would probably look at me in horror, which is why The Good Son is such a brilliant book. It has all of those elements in their unflinching rawness and yet with Mickey’s voice and cheeky sense of humour McVeigh gives us an image of an incredibly difficult and fractured time in some sort of rainbow technicolor whilst with a very black and white viewpoint. It is something I have not experienced before and I thought it was marvellous. It also gives us hope. ‘Wasn’t I, Ma?’ says me. ‘It was you that started them, son,’ says she, and we all laugh, except Our Paddy. I put that down to his pimples and general ugliness. It must be hard to be happy with a face like that. I almost feel sorry for him. I spy a dirty, big love bite on his neck and store this ammunition to defend myself against future attacks. And so we are straight into the narrative of Mickey Donnelly a young boy growing up in Belfast during a time of much turbulence as he is at that age, just before secondary school, when he is full of questions and hormones… oh and there are all the troubles on going in the background. That might sound throwaway yet to Mickey his main concerns are the fact that his family have no money, his Da is a violent drunk so his Ma and little sister Wee Maggie need protecting, everyone calls him gay and it looks like he won’t be going to the secondary school he dreamed of (which symbolises future escape) with his best friend. I think McVeign does many wonderful things with The Good Son and first and foremost of these is the character that he has created with Mickey. I am not a fan of child protagonists in fiction, I tend to find them precocious and a bit too clever (which tends to happen when you can see the authors viewpoint or purpose in their behaviour) for their own good. I adored Mickey. He is funny, rude, antagonistic, kind and hopeful. He is at once wiser than his years, due to some of his experiences at home and in the streets, whilst also often being naive. He thinks he knows everything about the world yet we the reader (as fully fledged adults, well I try) see everything around him in a different light and context. It is a real skill to get this just right and I think McVeigh does this effortlessly. His emotions are contagious too, when he is happy we are jubilant, when he is confused we are concerned, when he is defeated we are distraught. Sorry, Mammy, I’m always going to be on my own until I get away to America. Somewhere over the Atlantic away from our street and everybody in it. McVeigh excels in the use of light and shade within his writing. As I mentioned with Mickey he uses his joy and his defeat to an incredibly emotive effect with Mickey. McVeigh does this in other ways too, humour being one of them. The Good Son can be wickedly funny which, when the bad things happen, also makes the darker moments all the more so. From one moment we are in a world of the musicals of Doris Day (any book with Doris Day gets a seal of approval from me, as it would have my Gran) to the bullying in the streets or worse the violence which broods in the background throughout. This device I also found incredibly powerful. Whilst many novels of the Troubles would make them the main focus and give you them in all their rawest and most shocking detail, I think McVeigh gives you something far more clever and intricate. A young lad growing up at the time Mickey does would, as Mickey is, be used to it and so it is not the be all and end all of his thoughts. This of course leads us into a false sense of security so when things like the night time raids or the murder and bombing in the street happen it gives us all the more of a sense of shock, some of these parts of the novel are really harrowing reading. Yet often more striking are the random smaller moments in which we are reminded the streets the kids are playing in are territory of war, I found these truly chilling. In the shop window, there’s an IRA poster. A man’s face. Eyes starin’ at you, frownin’. A bodyless hand covers his mouth. Loose Talk Costs Lives it says. You have to be careful all the time. Keep your mouth shut. I move and it’s like the eyes follow me, same as the 3D Jesus picture in Aunt Kathleen’s. It is with this deft approach that McVeigh also looks at subjects such as religion and sexuality. Some authors might be rather heavy handed with their approach to these and whack you around the head with them at any given opportunity. McVeigh lets them bubble and simmer in the background, they become part of the story rather than the reason for it. This is a technique many, many authors should be taking on board. McVeigh also uses this restraint in his prose, no word is wasted, no sentence unplanned – and believe me he is a sucker for a brilliant final sentence in ever chapter that makes you constantly say ‘oh just one more chapter then’. I could go on and on. I could talk about the wonderful relationship that Mickey has with his mother and sister, the way I felt his brother and father are almost visions of what Mickey’s life might be, how much I loved the sense of unsentimental hope thorough out. See I could go on and on. And I haven’t even hinted at the ending which will leave you lingering on it long after you have finished it. What a tease I am. What I shall say to round up is simply that McVeigh has created something incredibly special with this book and its protagonist. 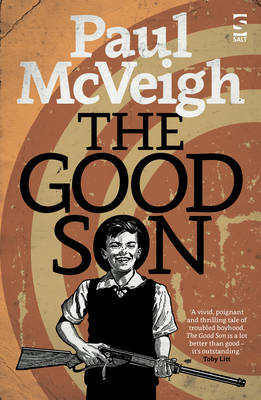 If you would like to hear more about The Good Son then you can hear Paul McVeigh chatting with me on You Wrote The Book here. Who else has read The Good Son and did you love it, and Mickey, as much as I did? Tagged as Not the Booker Prize, Paul McVeigh, You Wrote The Book! I first heard about Station Eleven when I was in a hotel room in Asheville, North Carolina. My lovely roomie, Michael Kindness of Books on the Nightstand, was reading it while we were at Booktopia. He was really enjoying it and it was fair to say that when he was seen with it in his company, or when it was heard he had it, there was almost a fever of anticipation and a buzz going through the many Booktopia attendees. I asked what it was about, as naturally Michael and I spent the entirety of our room sharing talking books, and was told it is about the start of the end of civilization and then the aftermath twenty years later. I think you could hear my eyes rolling around the whole of the U.S and I may have made some snarky comment along the lines of ‘oh, that’s not something that has been written about before is it?’ I came back to the UK and Station Eleven was soon being talked about everywhere, before swiftly becoming many people’s (lots of whom I trust immensely) favourite books of 2014. After someone, who will remain nameless, but who bloody loved this book sooooo much dared me to read it on the promise of £50 if I didn’t like it I decided it was time. Well, I never got the £50 because I loved it and was of course furious I hadn’t stolen Michael’s proof off him when I had the chance. Station Eleven opens, aptly, at the Elgin Theatre in Toronto where well-known (more famous in his youth) actor Arthur is taking on the lead role in Shakespeare’s King Lear, that is until midway through the show he collapses and dies from what initially appears to be a heart attack. Yet within hours not only is Toronto feeling the beginnings of what seems to be a pandemic flu, the whole world is following suit. Through the eyes of a seemingly unlinked group of people we watch as flu turns out to be a deadly virus and the end of the world is coming. Yet Station Eleven is not simply an end of the world novel, in fact bar the initial millions of deaths (99.9% of humans have died, he says casually) in the first few days we are soon sent to the year Twenty when those who somehow survived, or were immune, to the virus are carrying on in a new strange world. Here Mandel focuses in more particularly with Kirsten, part of The Symphony, travelling around North America performing Shakespeare as they head through the wilderness we see both a future that is much simpler (no phones, no television, no electrics) yet where humans living at their most base start to want powers of other kinds. All I will say is ‘cults’ and we know how fascinating, if utterly bizarre, some of those can be. There was much to love and admire in Station Eleven. Firstly I found the fact that Mandel chooses to write about the very beginnings and then skip to twenty years after the end of civilisation, really interesting. Many authors would have gone full throttle with the horror of what could happen as the humanity falls and then deals with everything’s slowly breaking down and running out. Mandel however, bar a few of the tiniest flashbacks, leaves that all to our imagination which of course can be much worse. I wondered if she felt, like I did when I rolled my eyes back in Asheville like a wally, that maybe this is ground that has almost been covered too much, isn’t how and if people survive after that all the more interesting? It turns out it is. Before we head to that I do want to mention how brilliantly she does write about the pandemic as it sweeps across continents. It is utterly bloody terrifying as it could all happen so easily, especially if we think what happened with Ebola recently, all it takes is the virus to get on a few plans with a few people and off it spreads. I don’t suggest reading this book on a plane next to anyone with a cold. I thought this also had a real emotive weight on several occasions, with particular reference for those who die not long after including one leading-ish character far from their loved ones and indeed surrounded by strangers (who I won’t name, but I wept) as well as those people who we only see the merest glances of through survivor’s eyes. “We’ve admitted over two hundred flu patients since this morning,” Hua said. “A hundred and sixty in the past three hours. Fifteen of them have died. The ER’s full of new cases. We’ve got beds parked in hallways. Health Canada’s about to make an announcement.” It wasn’t only exhaustion, Jeevan realised, Hua was afraid. Jeevan pulled the bell cord and made his way to the rear door. He found himself glancing at the other passengers. The young woman with groceries, the man in the business suit playing a game on his cell phone, the elderly couple conversing quietly in Hindi. Had any of them come from the airport? He was aware of all of them breathing around him. In the year Twenty things are no less emotive or terrifying, just in a very different way. People who have survived the pandemic might die simply treading on a rusty nail as there is no treatment. People are also suffering as with no police/official control/government some lesser individuals see this as a way to form their own controls be it husbands and their behaviour to wives, criminals and murderers lingering just out of eye sight ready and waiting, or self appointed rulers ready to spread wisdom from the past they use old documents and twist the words of or simply make them up themselves. We watch the way someone’s nature, be it good or bad, can come to the fore. It is interesting to read how the ripples of the past end up affecting the future in ways unseen. Throughout Station Eleven Mandel seems to use it to talk about many things. There is fame and why people become so obsessed with it, we have the fame (or the fading of it) for Arthur in the past, and the seeming need for infamy of ‘The Prophet’ in the future. We look at what truly lasts after the world is ravaged, yes there are aeroplanes and cars and all those sorts of things yet without power they become useless, what really become valuable are documents, words, trinkets, memories and history, even pop culture is celebrated for some of the positive attributes is has in a desolate future. We stand it because we were younger than you were when everything ended, Kirsten thought, but not young enough to remember nothing at all. Because there isn’t much time left, because all the roofs are collapsing now and soon none of the old buildings will be safe. Because we are always looking for the former world, before all the traces of the former world are gone. I really like books with layers and Station Eleven has those in bounds. On one level it is just a fast paced and fascinating look at the end of one civilisation and potential beginning of another. There is plague, there is murder, there are cults, there are loves lost and found. There’s also a lot going on under that; we are reminded how vapid celebrity culture can be and yet how obsessed we can become with the famous on our many devices, rather than getting to know a neighbour; the importance of words and culture; how important kindness is. I could go on, the power of all of these and more subtly resonates through the book. The most powerful thing of all though is hope, especially in other people and their choices to be good. 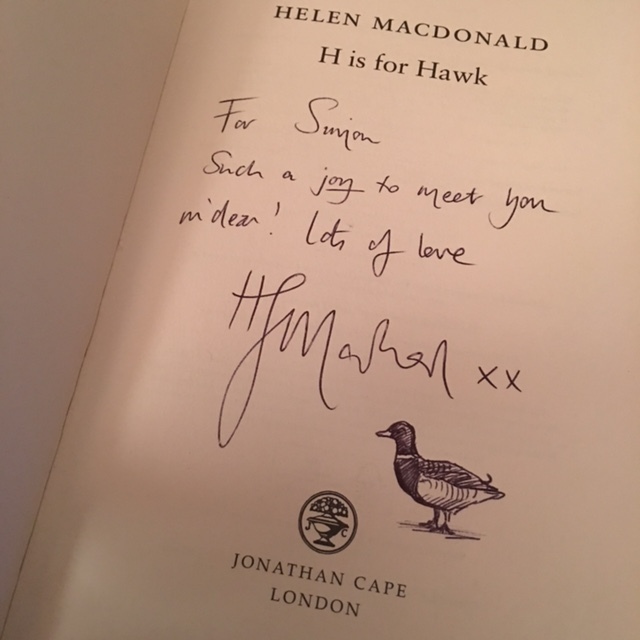 That was the message I was left with as I left a world that seemed like the future yet reminded me to look away from all my screens and remember a simpler past – where books ruled. If you would like to hear Emily St John Mandel talk more about Station Eleven then you can hear her chatting to me (I know, how lucky was I) here on this episode of You Wrote The Book. I would love to hear your thoughts on Station Eleven, a spectrum of which you can see here on Adventures with Words, Tomcat in the Redroom, Mookse and the Gripes and Lonesome Reader. I would also love to know which of Emily’s previous three books you have read (as I now have them all) and what you made of those? Tagged as Emily St John Mandel, Station Eleven, You Wrote The Book!